OK, everyone. I am back at it! 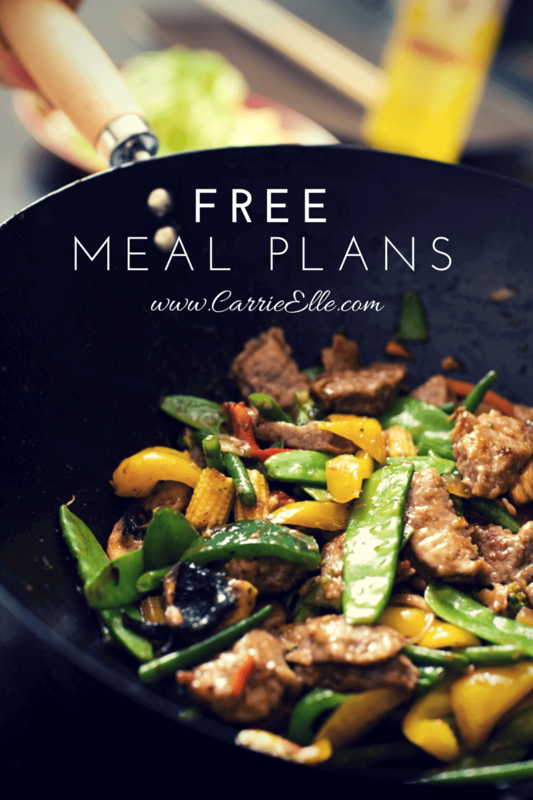 For awhile, I shared my weekly meal plan and links to the recipes I was using. Then I quit because I was so busy writing other stuff, they just kind of fell to the wayside. But in 2015, I’m only writing posts I really want to write. And that means I’ve taken less sponsored jobs (I’m only taking jobs I am really, really excited about!) to free up more time to write great content I really care about. I’m hoping this lets me spend more time doing what I love…creating great content and focusing more time and energy on my Etsy shop, which has turned into a legit business (woohoo!). One of my goals is to get back to these meal planning posts. I actually include one night of eating out and usually one night of leftovers in my meal plan. But here I’ve got an actual meal for you every night…to keep it flexible though, you can substitute one or two meals with leftovers and/or eating out. Sunday: Homemade lasagna and a green salad. Also some fruit for the kids. This is an amazing recipe…it makes a ton and is perfect for freezing. We’ll have some for lunch during the week and freeze the rest to use for dinner in a couple of weeks (or on one of those nights when we forget to thaw the chicken or just don’t feel like cooking). Monday: Grilled chicken salads with this homemade Western Salad Dressing. Tuesday: Taco Tuesday! Taco salads for the grown-ups and regular tacos for the kids, tortilla chips on the side. Wednesday: Crock pot sour cream chicken, rice, steamed veggies. Thursday: Scrambled eggs and bacon, toast, fresh fruit. Friday: Macaroni & Cheeseburger, steamed veggies. This macaroni recipe also freezes well and makes great leftovers. Saturday: BLTs, tortilla chips, fruit. We love breakfast for dinner and BLTs, too! I might have to start sharing my weekly meal plan, too. I always love seeing what other people are making because it inspires me to try new recipes! If you share it let me know and I will link to it! I tend to do a lot of the same (boring) things, so I’d love to see yours and link to it, too! I love that you are re-evaluating your goals and adapting! That is important with any new business – to be flexible and change as the situation changes. Thanks for sharing the recipes. Is the BLT you talk about so much, just a regular BLT?!! !